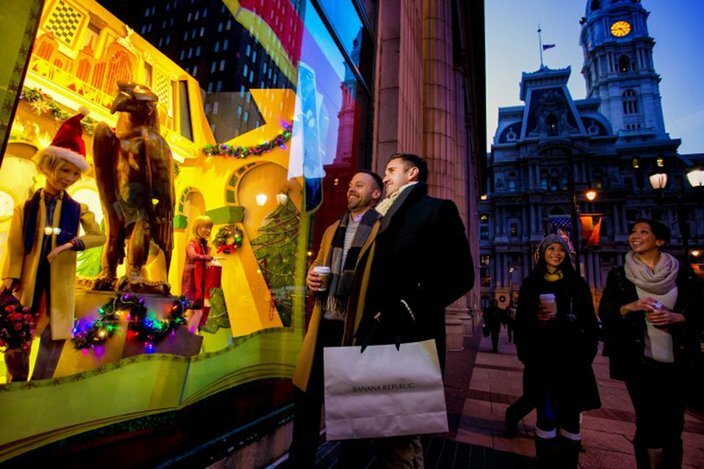 As the Christmas season bears down, revelers in Philadelphia and New Jersey will be rushing to complete their shopping, trying to see all of the holiday attractions and trimming that tree. To make that hectic time just a little bit easier, we've compiled all the best events, dining guides, cooking tips and gift guides into one helpful location - then added in a few seasonal stories to make spirits extra bright. Happy holidays! Whether you have a favorite annual spot to view decorated Christmas trees or are looking for a new location, you will find all the information you need on this year's holiday lights here. Don't miss Macy's Christmas Light Show, Shady Brook Farm and A Longwood Gardens Christmas. Bring the holiday season into your home by chopping down a perfectly-picked Christmas tree. There are plenty of local farms that offer chop-your-own (and some pre-chopped) tree opportunities, from Indian Acres Tree Farm in Medford, NJ to Linvilla Orchards in Media, Pa.
Searching for a holiday show to see this year? Philadelphia offers a variety of performances through the season. 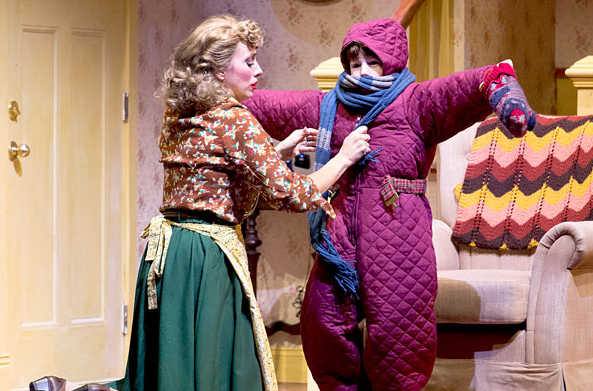 From "A Christmas Story" to "A Christmas Carol" (and, of course, "The Nutcracker") the city is filled with seasonal shows. Films shot in Philly usually conjure up images of boxers or an M. Night Shyamalan thriller. Yet Christmas movies don't usually come to mind, as New York City is known for the types of flicks that inspire holiday cheer. There are, however, some films shot in the Philadelphia area with a Christmas theme. We sat down with Jessica Nolen, the brains behind the desserts of Brauhaus Schmitz and Whetstone Tavern and the owner of new Society Hill spot The Little Bird Bakery & Cafe, for some cookie baking troubleshooting tips. Follow her advice and your friends and family will be requesting your sweet treats for years to come. Holiday treats, passed down through generations with recipes from around the world, often carry memories that last well beyond the cravings. Behold, four traditional holiday desserts created by professional chefs that you can find at local restaurants. No cooking required. PhillyVoice asked Justin Timsit, wine director at The Rittenhouse Hotel, for his advice on choosing wines for the holidays. He plucked 20 bottles from the shelves — whites, reds and sparklers that offer great value for their price, from a $12.99 steal all the way to a $74.99 splurge. There's nothing like a hot beverage to warm your insides on a cold winter day. Especially when said beverage is of the alcoholic variety. Egg nog is a popular cold-weather and holiday go-to, but why not expand your horizons? Try one of these winter cocktails from around the globe. Just as local farm-to-table eateries change their menus with the seasons, craft breweries create new beers for each change in weather. After all, a night in front of the fire requires a very different beverage than a day on the beach. 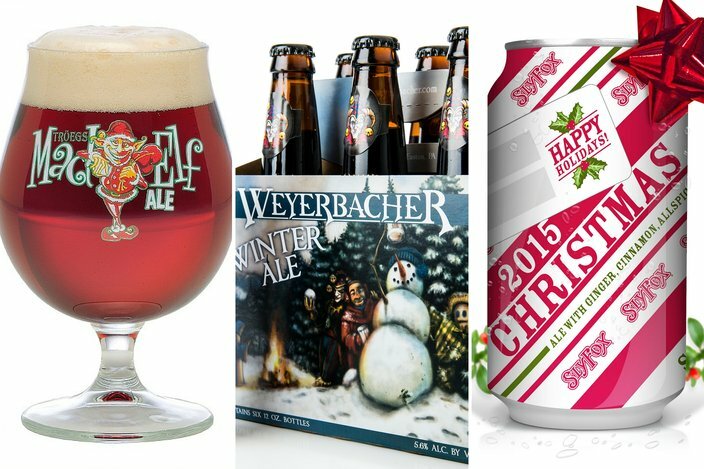 Thus, we've rounded up some of our favorite winter warmers, spicy ales and holiday suds from Mad Elf to Santa!! I Know Him! When you’re the parent of a young child, this is the time of the year when you find yourself navigating a fine line between the wonders of youthful minds and bending the truth a wee bit to act as if a fictional character is, in fact, real. For those #blessed enough to claim unfamiliarity with the EotS, it’s a plastic pellet-packed piece of polyester with a smarmy grin and eye-contact eschewing orbs of blue. It’s also a made-in-China tactile quality that a carnie would be ashamed to offer as a rigged game’s participation prize. But here we are as a nation where that little cretin litters Facebook feeds and Listicle Hubs with a frequency that puts the Ice Bucket Challenge to shame. Infrequently Asked Questions: Should I bring a date to the office holiday party? We reached out to Kenneth Maguire, a therapist with the Council for Relationships who specializes in working with couples and individuals, for some advice on the dos and don'ts of inviting a date to your holiday office party. 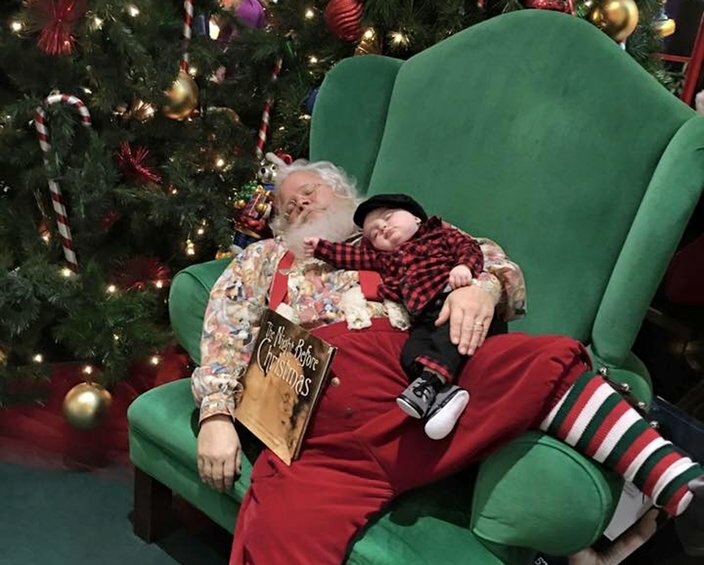 Infrequently Asked Questions: What's it like to be Santa Claus? What's the experience really like, from the perspective of the man behind the beard? Curious, we reached out to Mayfair-native Ed Long, who's been a Santa in the city for 15 years. When he's not stationed at the Christmas Village on Fridays and Saturdays from noon to 8 p.m., or Sundays from noon to 7 p.m., you can catch him flying through the area for private home visits on Christmas Eve. The whine of worn leather pointe shoes. The plodding of feet across the studio floor. The unmistakable nonsense language of choreography. The panting of breath, the smell of sweat. When Pennsylvania Ballet takes the Academy of Music stage this December to once again perform George Balanchine's "The Nutcracker," the audience will hear none of these sounds. 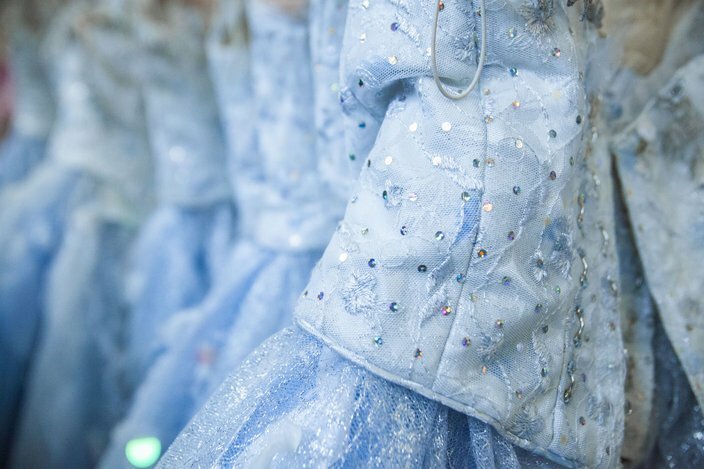 They will know nothing of the weeks of rehearsal the company has put in, for the 46th year in a row, before bringing this holiday tradition to awe-struck children and their nostalgic escorts. 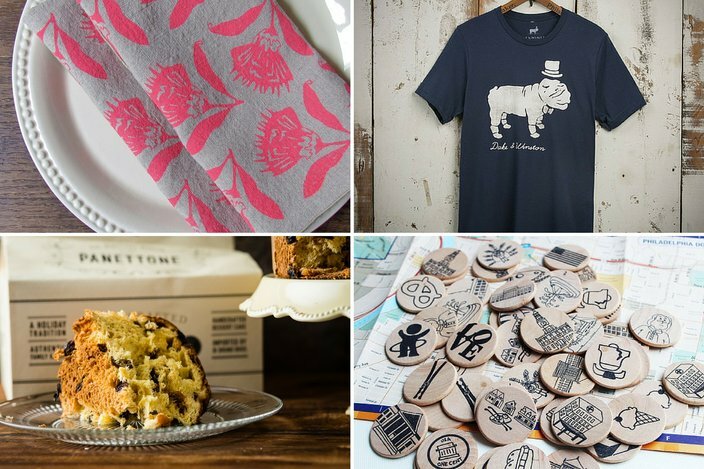 For our first Philadelphia gift guide we highlighted some of our favorite local creations -- books from area authors, crafts by local artisans and knick-knacks that straight up remind us of home.